"Students who read the most, read the best, achieve the most, and stay in school longest." First, we collect and distribute new and gently used children's books for ages baby to young teen. Most needed are early reader books for K-3. 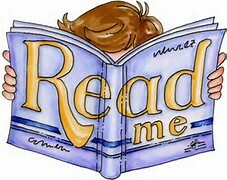 Children who learn to read at grade level by end of the third grade are much more likely to graduate from high school. Second, we purchase hardcover children's books for our local libraries. Each week we ask our speakers to sign a book. Books are donated on alternate weeks to Walker Library in Westbrook and Baxter Library in Gorham. Third, we volunteer to read with young students in local schools. Even an extra 15 minutes per day of reading with a child increases exposure to vocabulary exponentially and improves comprehension. Children in families with incomes below the poverty line are less likely to be read to aloud everyday than are children in families with incomes at or above poverty. The more types of reading materials there are in the home, the higher students are in reading proficiency. We need your help to get more books in the hands of young readers. Members: We will collect books at any meeting as you have books to donate. All books donated will be distributed free of charge in selected locations around our community. Please contact Christine Johnson (through email link on home page) if you have suggestions for where a crate should be placed or if you have books to donate.